US President Donald Trump said Tuesday that he was presented with "the concept and parameters of the Border Security Deal" by US Senator Richard Shelby. Trump hinted in a tweet on Tuesday that the White House managed to allocate enough money for the much-anticipated fencing on the US border with Mexico "from other sources". Earlier on Tuesday, Shelby said lawmakers had reached an agreement on border security funding that would avert another federal government shutdown. In particular, the bipartisan Congressional conference panel on border security has reached a deal that will include over $1.3 billion for new fencing in high-traffic areas in the state of Texas. However, earlier on Tuesday, Trump said he was not happy with the deal but expressed optimism about getting some funding to get started on his objective. The president also said it was unlikely another government stalemate would occur. The most recent shutdown, which lasted more than a month — from December to January — was the longest in US history and affected more than 800,000 federal workers and contractors. 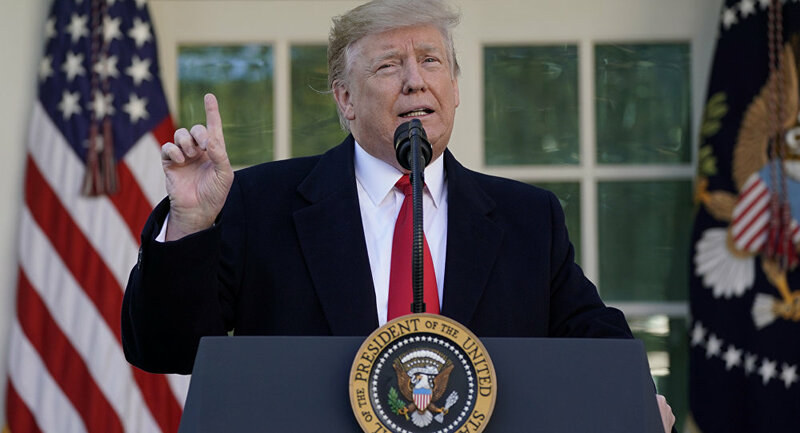 US lawmakers and Trump temporarily re-opened the federal government for a three-week period until 15 February to negotiate a deal on border security. The main point of disagreement has been the Democrats' refusal to satisfy Trump’s request for $5.7 billion to build a wall on the US border with Mexico. Trump has repeatedly threatened to declare a national emergency to address what he calls a crisis over crimes caused by immigrant gangs, such as drug smuggling and human trafficking. Declaring a state of emergency would reportedly allow Trump to order the US military to build the border wall by diverting funds from other federal government departments and agencies. Democratic leaders in the US Congress have repeatedly slammed the wall proposal as immoral while claiming there is no migration crisis. US Senate Majority Leader Mitch McConnell has pledged to prevent the president from bypassing US lawmakers and declaring a national emergency.